An ICU cart is specially designed carts to be used in intensive care units, they often consist of all necessary drugs and equipment’s which are required for an emergency patient. It is designed to provide easy access to all the necessary items to treat a patient in critical condition. 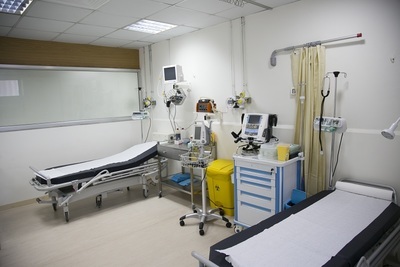 They are often placed in accessible position near to the patient’s bed in ICUs. Apart from that, ICU cart are movable, and you can also take it to the patient’s bed when necessary. Even now you can also carry portable USG machine, X-ray machine, medicines, non-consumable items and surgical accessories with these ICU carts. # How would you maintain your ICU cart? The maintenance of these ICU carts is part of standard procedure to be followed by nurse. Often the nurse needs to check and documents and machineries of these ICU cart in each session. They check the availability of all the necessary drugs and equipment and replace all necessary emergency drugs inside this cart on time. This activity need to take place in each shift separately. They also check for the expired items and replace them accordingly. Other types of electrical equipment like defibrillator and monitors are schedule for monthly maintenance. They should be working fine with updated battery and without expiration. But all you need to keep a track record of these ICU carts because ICU patients are very delegate and they need emergency medical attention. 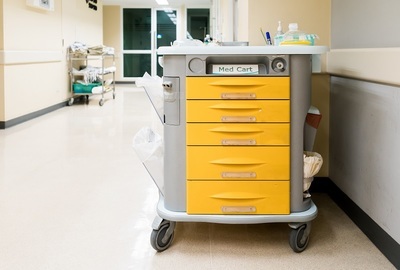 So, whenever you install a new ICU cart in your medical unit, you need to check their stability, durability, functionality, and always update these carts on time. The top shelf need to have items including defibrillator, Spo2 probe, ECG strips, ultrasound jelly for DC shock, Ambuj bag adult with mask and Ambuj bag podia with mask. First drawer is filled with necessary medicines and second drawer consists of dextrose 50%, Lidocaine, potassium chloride and sodium bicarbonate. Third drawer should consist of laryngoscopy, electrodes, xylocaine jelly, stylet, oropharyngeal airway, gauze bandage and plaster. Fourth drawer should have ETT in various sizes, tracheostomy tube, airway, suction catheter in all sizes and gloves. Medications to be included in top shelf of ICU Carts includes Alcohol swabs, Amiodarone 150 mg/3ml vial, Atropine 1mg/10 ml syringe, Sodium bicarbonate 50mEq/50 ml syringe, Calcium chloride 1gm/10 ml syringe, Sodium chloride 0.9% 10 ml vial Inj. 20 ml vial, Dextrose 50% 0.5 mg/ml 50 ml syringe, Dopamine 400 mg/250 ml IV bag, Epinephrine 1 mg/10 ml (1:10,000) syringe, Sterile water, Lidocaine 100 mg 5ml syringes, Lidocaine 2 gm/250 ml IV bag, Povidone-Iodine swab stick, Vasopressin 20 units/ml 1 ml vial. Pediatric medicines to be included in second drawer includes Atropine 0.5 mg/ 5 ml syringe, Sodium bicarbonate 10 mEq/10 ml syringe, Saline flush syringes, Sodium chloride 0.9% 10 ml flush syringe. Adult Intubation drawer must cover Endotracheal tubes of various sizes, Nasopharyngeal and perhaps oropharyngeal airways, A flashlight with extra batteries, A syringe of enough size to inflate the cuff on it endotracheal tube, Stylets, Bite block, Tongue depressors, Newer setups may also include the materials needed to start quantitative waveform capnography like a nasal filter line. Fourth Drawer must consist of items like IV Start Kit, Angiocatheters 14 Ga and/or 16 Ga, Disinfectants (Chloraprep, Betadine, povidone-iodine), Luer lock syringes of various sizes, Tourniquet tubing, Insyteauto guards of various sizes, Vacutainers, Blue top, Purple top, Green top, Red top, Spinal needles of various sizes, Regular needles of various sizes, 3-Way stopcock, Tape, Armboards, ABG syringes and sampling kits, Catheter tips, Tubing, IV solutions may also be kept in this drawer. But the arrangement of the ICU cart is depending on your needs. Especially when you design a separate ICU for separate medical department such as cardiac ICU, orthopedic ICU and ENT ICU, you need to arrange their cart with their own needs. In this case, you can consult with the doctor from specific department and they will suggest you the list for your ICU cart.